Most people who say they've had a concussion say they sought out medical care at the time. "The reality of life is that mild brain injuries are a pretty common thing," says Dr. Christopher Giza, director of the UCLA Steve Tisch BrainSPORT program. But that's no reason for panic. "Mother Nature designed us, for the most part, to recover from these kinds of injuries," he says. 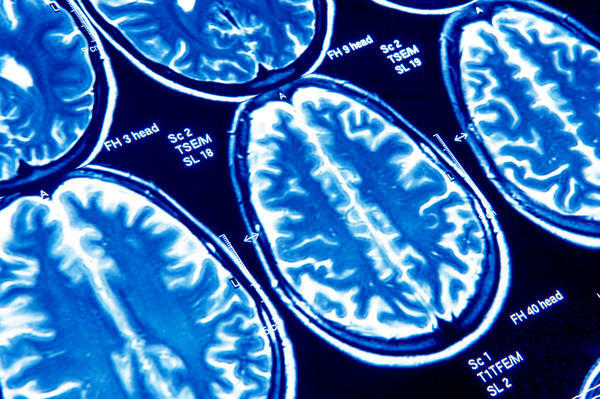 About half of people who reported having a concussion said they had experienced only one. A little more than a third of respondents said they'd had two or three concussions. About 16 percent said they'd had four or more concussions. The poll relied on people's self-reporting of concussions. Respondents could have diagnosed themselves or been seen by a medical professional. Concussions are brain injuries caused by a blow to the head or a force that causes the brain to move quickly within the skull. The symptoms can include a loss of consciousness, headache, nausea and vomiting, sensitivity to light or sound, muddled thinking and memory problems. "Many of the symptoms associated with concussions are subjective," says Giza, co-author of the American Academy of Neurology's guideline on sports and concussions. "We still don't have a gold standard definition. 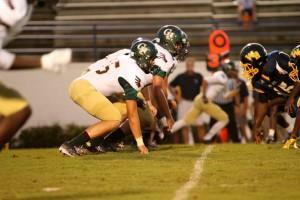 Many of the symptoms of concussion, out of the context of being hit in the head, are quite common." Giza says that if you're having symptoms you suspect are related to a concussion, it's a good idea to make contact with your health care provider. A phone call could be enough. But if there are red flags, such as confusion that doesn't get better or headaches that spike with bad nausea, a trip to the ER makes sense. "Better to get medical care then and find out," he says. With all the interest in sports as a factor in concussion, we asked people who reported having one if it had come about while playing a contact sport. Overall, 43 percent said yes. But the proportion varied quite a bit by age. Nearly two-thirds of the youngest people in the poll (under 35) said the concussion was connected to contact sports. Only 15 percent of people 65 and older said that was the case. We also asked people who lived in households with children ages 17 and under if any of them had experienced a concussion. Overall, about 12 percent of households said that had happened. Ninety percent of those reporting a concussion had sought treatment for the child. 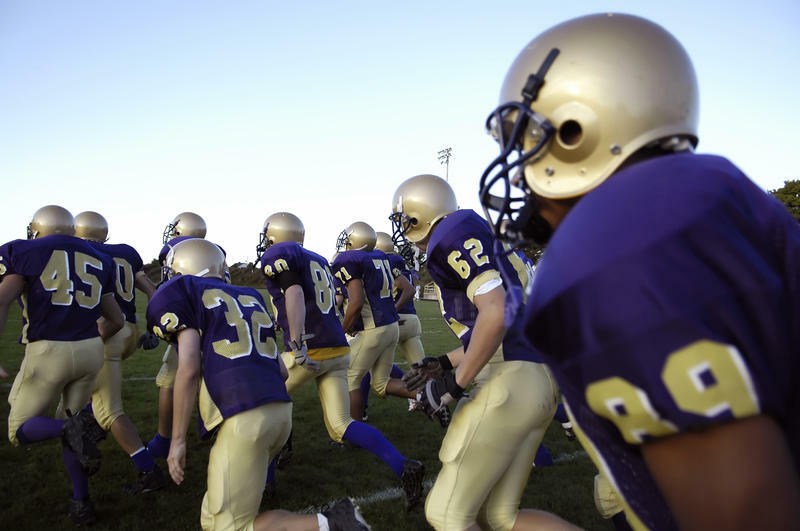 As for what had led to a child's concussion, 72 percent said it occurred in a contact sport. Eighty-four percent of households that said a child had experienced a concussion related to sports said they would allow the child to play the sport again. "I see this as an emerging field," said Dr. Michael Taylor, chief medical officer at Truven Health Analytics. "Some of the professional athletes who have publicly come forward now are raising the stakes around this issue." A 2014 NPR-Truven Health Analytics poll found that three-quarters of respondents would allow kids to play football in middle school or high school. Finally, we wondered if people thought the attention paid to concussions was appropriate or overblown. About 11 percent said it was exaggerated, 81 percent said it was reasonable, and 7 percent didn't know. The poll gathered responses from 3,009 people. The margin for error is plus or minus 1.8 percentage points. You can find the complete set of questions and results here. Past NPR-Truven Health polls can be found here. ARI SHAPIRO: Concussions have been in the news a lot, mostly connected with pro sports. We wanted to know how common they are, so NPR's health blog, "Shots," conducted a poll with Truven Health. It found that nearly a quarter of Americans say they have experienced a concussion, and three-quarters of those have sought medical treatment for it. Christopher Giza specializes in traumatic brain injury at UCLA and joins us now. Welcome. CHRISTOPHER GIZA: I'm happy to be here. SHAPIRO: Well, what stood out to you in the results of this survey? GIZA: There's a few things. You know, a lot of the discussion about concussion in sports is negative. And obviously for good reason, that injuries to the brain are not something that we should take lightly. I think there's also some reason for hope that we see from the results from this survey. I believe over 90 percent or close to 90 percent of individuals said they would seek treatment for their child's concussion. And I think that's a good factor, and that's a sign that there's increased awareness. SHAPIRO: So we should worry if this is happening to young people, if it's happening repeatedly. How else do you tell the difference between the ordinary, being knocked around kind of concussion and the kind of concussion that a person might not fully recover from? GIZA: Well, I think, you know, the symptoms of concussion are common symptoms that occur in life even without a concussion. And we don't have a litmus test - a brain scan or a blood test or a computer test - that by itself can diagnose concussion with 100 percent accuracy. SHAPIRO: When you talk about common symptoms, do you mean, like, dizziness, headaches, that sort of thing? GIZA: Right. So, you know, when I grew up, we thought you had to be knocked unconscious to have a concussion. And it turns out that probably less than 10 percent of clinically diagnosed concussions have loss of consciousness. Headache, dizziness, nausea, confusion, incoordination - these are all more common symptoms of concussion and can occur without a loss of consciousness. SHAPIRO: Now in this poll, two-thirds of the concussions among young people were reported to be sports-related. Do you see awareness of this problem leading to changes in the way schools handle sports programs? GIZA: I think we are already seeing that, yes. I mean, most of the discussion regarding concussions is focused on sports. I think we're perhaps still a little bit misdirected in that, you know, there's a sports participation pyramid, at the top of which are professional athletes and then high-level collegiate athletes. But the base of the pyramid - 10 or 100 times as many athletes are at the high school and even younger ages - the middle school, the youth levels. Most of the discussion that we have in the media and a lot of the research money and funding and projects are focused on sort of college and up when really, most of the individuals who are vulnerable are younger than that. SHAPIRO: Another interesting finding in this poll - 84 percent of households that said a child had experienced a concussion related to sports said they would let the child play that sport again. Do you think that's the right call? GIZA: I think it's a tricky call. You know, the vast majority of concussions recover completely. And so the decision to return to a contact sport really depends on what's the proper timing for that. Kids derive a lot of benefits from participation in sport also, and I think nobody would argue that they shouldn't return to a contact sport prematurely or, you know, they shouldn't hide their symptoms because that gives the risk of having repeated injuries. But if a child has a concussion, it's diagnosed, they're walked through a careful recovery plan, then it could be reasonable to have them go back and participate in that sport again once they've had full recovery. SHAPIRO: Christopher Giza directs the UCLA Steve Tisch BrainSPORT program. He's also the co-author of the American Academy of Neurology's sports concussion guideline. Thank you for joining us. GIZA: Thank you. Transcript provided by NPR, Copyright NPR. There's growing concern about the risks of concussions in young athletes. For years, high school coaches have had to take courses on the dangers of head injuries. This year, for the first time, all high school athletes in Florida are required to educate themselves about concussions before they can compete. Parents worry about a child getting a concussion in the heat of competition, but they also need to be thinking about what happens during practices, a study finds. In youth games, 54 percent of concussions happened during games. There used to be a time when athletes would get knocked in the head, fall to the ground, struggle to get back on their feet and wobble around before regaining their bearings. It used to be called "getting a ding." Athletes were encouraged to just "walk it off." That still happens in many sports, from the youth levels all the way to the pros. But over the past few years, recreational leagues, schools and athletic associations have gotten more serious about these head injuries. According to a report from the NCAA, a little more than seven percent of injuries in college football are concussions.